Come to Living History Farms for Family Easter fun with toy hunts, live animals, and traditional games, and then visit the Flynn Mansion for a family-friendly tea party! 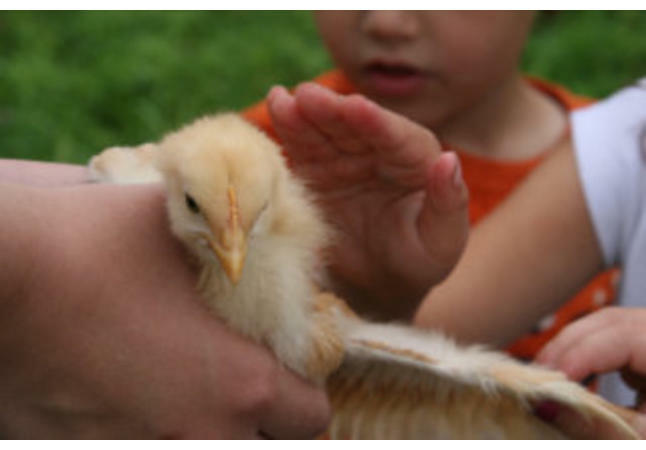 Our Chicken Little Tea Party will include admission to our Family Easter event, VIP parking, tea and treats in the 1875 Flynn Mansion, a hands-on meet and greet with chicks and chickens, and a Spring craft activity. Ideal for families with children 3-7 years old. Limited spots available for this special program. Tea Information: Please review our program policies before purchasing tickets, including the cancellation policy, payment info, program details, and more. Dietary/Allergy Concerns: Our meals are prepared in the style of the historic period for the entire tea group. Most of our recipes contain chicken or beef stock, sugar, flour, and other gluten containing ingredients. Due to the nature of this program, we cannot alter recipes.